Smoking is still one of the most common ways to consume cannabis. Unfortunately, this method is also one of the most harmful. While researchers have yet to confirm that moderate cannabis consumption increases the risk of lung cancer and lung diseases, it’s safe to say that smoking certainly is not the healthiest choice in the world. 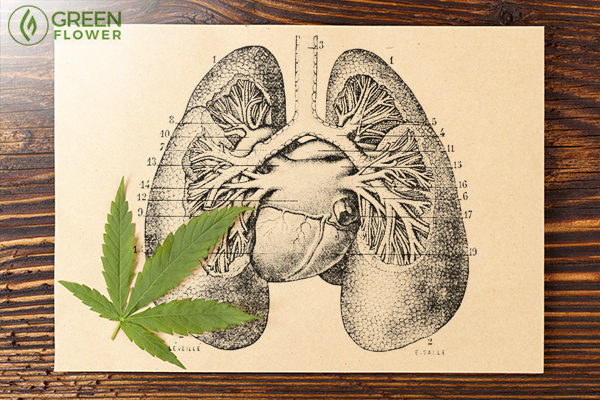 Research has shown that cannabis smoking causes both visible and microscopic damage to the lungs. Fortunately, the evidence suggests that this damage can heal after you stop smoking. However, as long as you continue, the smoke may contribute to lung infection and cause symptoms of inflammation and chronic bronchitis. Switching to a low-temperature vaporizer made from high-quality materials (glass, ceramic, medical-grade metals) can provide a similar effect to smoking while reducing the risk of inhaling hot embers and carcinogens released by burning plant materials. Eating a nutrient-rich diet is important when you are trying to detox from just about anything. Inhaling any kind of smoke deposits carcinogens directly into the lungs. These carcinogens are free radicals, which cause damage to cells and DNA. A diet filled with antioxidant foods can aid in neutralizing free radicals. Antioxidants are most abundant in fruits and vegetables. Blueberries, blackberries, leafy green vegetables, and green tea are all particularly high in antioxidants. Wild-caught fish like salmon are also a good choice for smoking recovery. Salmon is high in omega-3 fatty acids, which can improve immune function and reduce systemic inflammation. The pink coloration in salmon also happens to be caused by one of the most powerful dietary antioxidants, a molecule called astaxanthin. In animal research, this compound is known to inhibit breast tumor cells. To help break up mucus and eliminate some of the buildup, a trip to the sauna or a few steamy showers might help. Though, steam is likely more beneficial for upper respiratory problems than eliminating buildup deep in the lungs. do you prefer smoking or vaporizing cannabis?